Ultimate On Page SEO Techniques You MUST Know! There is no doubt that On Page SEO has been a tremendous blessing for those business owners who are interested in using their website or blog to reach their target audiences and even make a profit while they are at it. It may not be the easiest thing on the face of the planet to get millions of page views with On Page Optimization, but it is not an impossible task to accomplish. A lot of people simply believe that On Page SEO simply involves placing a few keywords here and there in their posts, and viola! The traffic will just keep coming – hmm, if it was only that simple. Thankfully, with some determination and the information in this post, you will be able to achieve top ranking posts within the search engines. On Page SEO (Search Engine Optimization) is very important if you own a website and you want quality traffic. Having a beautiful website is one thing, having website traffic is another thing entirely. Optimizing your website is one way you can boost visibility within search engines such as Google. This is the part where you say “I have no idea how to optimize my website” – well, get ready to learn effective On Page SEO techniques. First you need to undertsand what On Page SEO even is…. What Exactly is On Page SEO? On Page Search Engine Optimization is simply the implementation of tactics in order to optimize a website’s position in search results, utilizing specific words and phrases called “Keywords”. Aside from keywords, there are other things that need to be implemented in order to get really impressive results such as quality content, correct heading, alt-tags and so many other factors. In this post you will learn the On Page Optimization techniques that will help you boost your position in search engine results. For those website owners who are yet enjoying getting unpaid traffic to their site, the time to optimize your website or blog is NOW! The best part is I am going to give you the foundation to how. So, what exactly are the key advantages of On Page SEO for your website and to the success of your internet business? On Page SEO will help to effectively increase the ranking of your site within the search engines. If or when your site ranks pretty high on the search engines, it translates to high volumes of targeted traffic that is directed to your site via search engines. You need to understand that more traffic is equal to more sales. On-Page SEO will also help to save you money on paid advertising. So, if your site is well optimized and gets large volumes of traffic via search engines, you will also enjoy large volume of traffic to your web site through organic links which are present in search engines. This simply means that you do not have to spend your money on ad tools. When you optimize your web site for search engines and also use keywords and keyword phrases in this process, it ensures that you get target visitors on your site. If or when you use keywords and keyword phrases in your web site content and articles, it also simply means that your web site is visible on search engine search results pages for your relevant keywords or keyword phrases. So, when people type in your chosen keywords on search engines, your site ranks pretty high on search engine search result pages. Search engine optimization will help you dominate your niche. So, If your site ranks high on all top search engines, and also for all your keywords, in no time, you will dominate the niche and then become a professional in your topic and niche. This will of course build a really good reputation for you, which will also drive a lot of traffic to your website. This will help make you an “authority” figure within your niche. When you are searching for information on a particular topic on the internet, you will typically query your preferred search engine terms that are relevant to your topic. The search engine on its own part displays a list of web pages which it considers as closely related to your search term. Then, the web pages that appear at the top are known to be much more important than the ones that appear below. Yes, questions arise as to how a search engine must know which and which pages are more relevant for search query. One also needs to understand that high search engine ranking is really not the primary objective, your goal should be website traffic and of course conversion. If traffic does not convert into sales whats the point, right? You may be thinking, “well I now know why I need On Page optimization, but how can I do this?” Keep reading to learn – anyone who is dedicated about boosting their page ranking can do it! 42 percent of search users are known to click on the top-ranking link, then 8 percent click on the second ranking link – the CTR (Click Through Rates) simply drops from there. 77 percent of internet searchers select organic over paid listing when they conduct their searches, 67 percent select organic search when making an online purchase. 15 Ultimate On Page SEO Techniques for 2013! Page/Post Title – Use Short and Meaningful Titles! When internet users or bots visit your webpage, the very first thing that comes to notice is simply the title of your blog post or page. It is important that you understand that the titles of your blog posts or website pages matter (a lot) when it comes to On Page SEO. So, you need to make sure that your blog post titles should ALWAYS be unique, striking and should also include the major keywords or keyphrases of the page or post. Do try to make the titles short and meaningful. SEO experts recommend using titles that have less than sixty (60) characters. Stop recreating the wheel and try and stick to whats tested and proven to gain results. Since search engines have been designed to present search results based on URL; so it is important that you pay quality attention to optimizing your post permalink or URLs. Optimizing post URLs or permalink may sound like Greek talk for any newbie webmasters or bloggers. For instance, if your blog post appears like this, http://styleguide.com/?=123, it may be confusing for search engine bots and may affect your site traffic. You should make sure that you include your keyword into your URL. It is always a great idea to customize the URL of your blog or webpage instead of going with a random permalink. If you are using WordPress, changing the permalink is a piece of cake. Simply visit the page “Settings” tab labeled “Permalinks” and carryout the necessary changes. The well known format is /%blogpostname%.html – this comes highly recommended by On Page SEO experts, because it is simply and search engine friendly. When it comes to on page search engine optimization practice, one important point that many bloggers have taken note of is the practice of interlinking the articles that they write with the previous articles that they have written. You can interlink 2 to 5 articles and ensure that these articles are related with the post. Making a practice of interlinking your blog posts will help you to boost your page views, build your position in search engine results and would help in reducing your webpage bounce rate. Interlinking your webpage will make visitors that come to that page navigate around your site and also help them to find and (possibly) read your entire site’s content. All search engine bots ALWAYS check an article’s meta description. Believe it or not, but these descriptions play a vital role when you use them on your webpage. So, make sure that you also include the relevant keywords used in your article(s). Visitors and search engines use meta descriptions in order to find your webpage in searches. Do not underestimate the power of using meta descriptions. If you do not use them, then the Google bots will simply pick keywords at random from your content’s first paragraph. Important note: A meta description should not be more than 160 to 170 characters (this includes spacing). In order to ensure that you optimize your blog posts or website content, then you should also consider using good meta keywords (also called “meta tags”). Make sure that the keywords are relevant to the content that you have written and select the keywords that people typically use. Use short keywords, because Google no longer uses longtail keywords (3 to 5 keywords) for its ranking. You can still use longtail keywords on other search engines. Another effective On Page SEO technique is the use of main lines and main keywords in header tags like H2, H3… It will make your posts much more attractive. You can use the header tags in order to highlight the main and sub heading of your posts, so as to help visitors to find your content readable and attractive – and again, search engine bots lookout for headings. For your content’s main title, make use of H1 tags just once and ensure that you use vital keyword(s) in it. Do not develop a habit of repeating H2 and H3 tags over and over using the same keywords. Believe it or not, you can use images in order to drive traffic to your website or blog. Every single minute, tons of people conduct searches for images on top search engines like Google – so, if you are interested in getting free traffic, optimize your images NOW! For instance, if or when you download an image, and it is like 134789.jpg, IMG45623 or DCS77759. By simply altering the name and using something such as iPad-4-iOS-6.jpg or using anything that is related to your content, it would make it readable to both internet users and search engine bots. Be sure to also add alternate tags in order to boost the image’s “searchability” for instance <img src=”iPad-4-iOS-6.jpg Alt=” Top-iOS-6-in-World”> . Please note: There is also no doubt that text based content can work brilliantly; however there is something about screenshots, videos and images that make people want to stick to your webpage like white on rice. Please note that Google might even use time on webpage as a rating signal. Keep your readers occupied as long as possible by providing them with an irresistible media-rich experience. You can make use of bold, italics and/or underlined styles in order to highlight vital phrases and keywords in your content – doing this will arrest the attention of search engine bots. You can also make use of these highlighted texts in order to attract the attention of your target audiences. The major purpose of URL Canonicalization is to simply optimize a webpage’s URLs to stop duplication. If your webpage can be accessed with or without using www (world wide web) then there may be a problem here. Both the www version and the non www version of your webpage may be treated as duplicate content by a search engine. WordPress users can tackle this issue by simple navigating to the General Settings Page, type-in the full name of their blog with or without using www, then save the settings. But for those using a different blogging platform or software, they will need to learn how to Canoncalize their URL. Why? A search engine will typically treat these webpages and mark them as duplicate sites , and this is certainly not good for search engine optimization. When writing content or articles for your webpage, it is highly recommended that you ensure that your post is SEO-friendly and should be about 2,000+ words long. 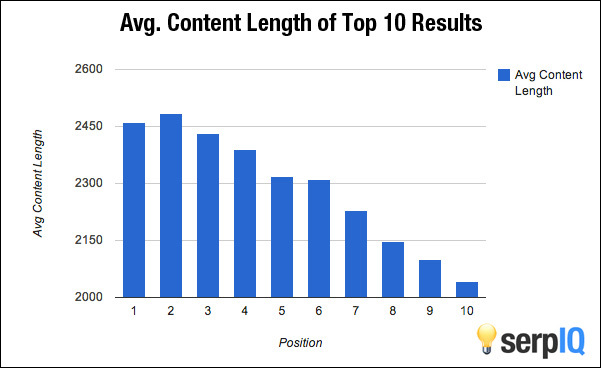 You need to know that the length of your post also matters when it comes to On Page SEO. Search engines are drawn to quality and unique content, of ideal length. I've seen studies where the average first place ranking for articles is over 2,000 words so the ideal length for a long term article (one where you want to rank and not just a simple update) should be over 2,000 words. Seriously, can you actually cover any topic comprehensively with just 350 words? Now, this is the gotcha, “Google knows that as well!” So, if there is a really tough keyword or keyphrase that you desperately want to rank, then you should make sure that you create a minimum of 2,00 words of top notch content. If you create a website that is absolutely great and has a lot of interesting content and categories, but you fail to update it on a regular basis; then you will come to the sad realization that people no longer want to visit your website. Updating your webpage is also a very important aspect of On Page SEO. There are just times when you may feel too lazy to write; so instead of failing to update your webpage, simply hire a freelance writer to get the job done – that way, you can still continue updating your webpage without missing a beat. You can choose to update your webpage 3 or 4 times in a week. No one wants to waste their time re-visiting a webpage when they are sure that there are no new posts. Everyone who earns their daily bread on the internet knows that linking is also a well known SEO key used by many top bloggers to boost their searchability online. It is all well and good if you choose to build links with external sites through guest blogging, leaving comments and several other methods. This will also help in boosting your webpage’s visibility in search engines and other webpages. Link up with trusted websites in order to help you gain credibility and to also improve your Page Ranking too. There is nothing on the planet that screams “Spammy Affiliate Website” like the lack of outbound links to other websites within your niche. Keep in mind that top search engines such as Google, Bing, and Yahoo want to send internet users to content that tickles their fancy. Translation: send readers to other people’s webpage or content. Do not be greedy by hogging the entire PR for just you and yourself alone. Send some of those good PR to other websites that your visitors will find really helpful – particularly, authoritative websites. These days, social sharing is simply a mark of quality; however, it is not a very vital ranking factor when using On Page SEO. But, you should ensure that you make the effort to place social sharing button in noticeable areas of your webpage. You would actually be surprised at how many people are eager to share your content when you place the social sharing buttons on your webpage. Important note: include rel=”nofollow” in order to stay away from bad links. Prior to writing or posting any content, you must make sure that you take the time to do a proper keyword research. Using the right keywords HAS ALWAYS been one of the very best On Page SEO techniques for ranking higher – including Latent Semantic Indexing (LSI) will help you achieve better results. Google uses LSI Keywords in order to gauge the quality of a website’s content. If you have written a lengthy post (as recommend in this post) you should ensure that you use LSI keywords within the body of the article. Google Trends and Google Adwords tools are well known and popular keyword research tools. 80 percent of unsuccessful searches are accompanied with keyword refinement. Creating awesome articles will no doubt help you gain a large readership. If you have very unique writing skills, it is only a matter of time before you start reaping the rewards of all your hard work. Do not make the mistake of trying to copy other people! You should always make yourself standout with your very own writing skills and ideas. Remember, top bloggers are humans like you; so ensure that you have a webpage that others will also envy. Having quality content will help reduce bounce rate. Hard to read or outright boring content contribute largely to bounce rate. One way of ensuring that pages on your website do not have a high bounce rate, simply ensure that you create easy to read content and a clean web design. If you do not know how to write unique content, you can always get a good writer to get the job done. There are lots and lots of good writers out there who will do the job at very reasonable rates. Normally, the average person doesn't care.. as long as they can see it and that the website loads properly. This is no longer the case if you plan to scale up your business and have google on your side for organic searches. Your on time duration plays a big part of your rankings. If you have people hit your site but leave cause it's too slow… you are dead in water. 40 percent of Search Engine Optimization campaigns conscious of their Return On Investment (ROI) achieve returns in excess of five hundred percent (500%)! While just 22 percent of Pay Per Click (PPC) campaigns were able to reach this value. Thank you for checking out my page. After having become a full time online marketer, I am still learning and applying the techniques I shared with you. For more information on this and other online marketing how to's, check out my other resources and trainings below. Income Disclaimer – results are not typical and are result of consistent daily action and hard work. Really good stuff, Lawrence. Thanks for such a nice, concise presentaiton. thanks! glad you liked my on page seo blog post. Really insightful stuff. Just getting the hang of SEO so this was very helpful. Thanks Lawrence! Thank you for this information. These strategies will definitely help make our website more effective. Great content and a LOT of important information about On Page SEO. Thank you for this article! Huge help for me to get a better strategy for my blogging that I can use right away. Appreciate the clarity this gave me on one page SEO. Answered a lot of questions I had as well. One of the best articles I’ve read on this subject. Thank you for your leadership in this industry. thanks! Will continue to get better for ya! Hi LT!! How do we canoncalize our URLs with our Blog Beast site? right now no… but that’s a good thing.. most people would butcher their site… u can go full custom on wordpress but words of warning… i’ve broken a ton of links messing around with links and restructuring..
Lawrence… this content is so important and I have shared it with my team. The way I see it~ I wanted to teach my team this same information so instead of me writing my own page and doing my own new training session.. I simply direct them back to this page. As one of your team members I truly enjoy the act of collaboration with “seniors and juniors” alike. We do not seek only our individual success but we enjoy the success of all in this overly ABUNDANT industry. Trust me.. I know.. I’ve been in the business development and business analyst side of the corporate table. I am now writing a quick blog on that abundance to share with our team.